All too often, non-vapers and the mainstream media assume that all vaping devices are the same. However, true vaping enthusiasts know better than to lump these devices into one category. "Vaporizers" (and sometimes, “e-cigs”) is the universal term for all the devices enjoyed as an alternative to smoking; however, each model has features and qualities that make it unique. One of the major distinctions between devices is the type of heating component it uses. When shopping for a vaporizer, the most commonly-asked questions are generally: What's the difference between atomizers, cartomizers, and clearomizers? And which one works best? By having a clear answer to these two questions, you’ll be able to understand how each heating component affects your vaping experience, allowing you to choose the best option for you. 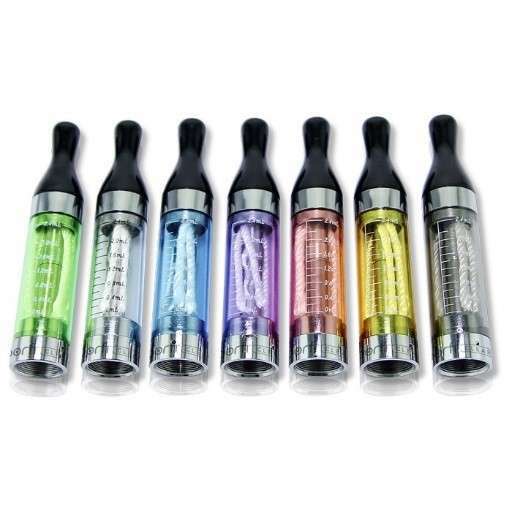 Atomizers are one of the integral elements of every vaping device. They are a part of both cartomizers and clearomizers, and though they can vary from device to device, they are an essential part of each one. The job of the atomizer (or "atty") is to heat e-liquid to the point of vaporization so that you can inhale the flavored vapor. It accomplishes this through the use of a heating coil, which connects to a battery. When the atomizer operates solo (not combined into a cartomizer or clearomizer), the e-liquid drips directly onto the heating coil. A silica wick or metal mesh helps regulate the amount of e-liquid that reaches the atomizer to prevent flooding and dry hits. One of the main benefits of using an atomizer alone is that it allows users to practice a technique known as direct dripping. People who drip believe that it results in extremely clear and potent e-liquid flavors since there is nothing to dilute the taste. This technique also usually helps you to avoid accidentally burning your e-liquid. However, dripping also has its cons. For starters, it can take a lot more work than other methods. Also, it can be a bit messy. The build-up of sticky e-liquid residue will require you to clean your device much more often – some vapers don’t mind, but for others, this is a deal-breaker. Finally, dripping can be a somewhat involved and complicated process, so proceed with caution if you’re attempting dripping before gaining the necessary experience. The single-purpose atomizers found in the original electronic cigarettes received a much-needed improvement with the invention of the cartomizer. Cartomizers (or "cartos") are similar in design to atomizers – the main difference being that they come with a cartridge of e-liquid attached. Another difference between cartomizers and atomizers is that most cartomizers have a poly-fill layer wrapped around the heating coil, resulting in a longer vape time. 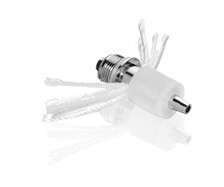 The convenience of the cartomizer is what wins many vapers over. With cartos, the atomizer head is automatically connected to the battery and comes with a tank full of e-liquid, allowing near-instant vaping right out of the box. Plus, cartomizers are often more affordable than atomizers and clearomizers. Last are clearomizers or "clearos" for short. Clearomizers are the most recent gadget out of the three, and the most innovative. Essentially, they are cartomizers, but with a few fundamental differences. The most noticeable difference is their transparency. For users of atomizers and cartomizers, accidentally burning or flooding the heating element is a common problem. However, clearomizers resolved this by letting vapers see into the tank. Also, clearos often have larger tank capacities, which allows a prolonged vape and less time spent having to refill your electronic cigarette. Top coil – The easiest to refill and creates smooth, warm vapor; however, can produce inconsistent hits. Bottom coil – Great wicking action and high quality cooler vapor, but harder to refill and can develop leaks easier. Multi coil – Stronger throat hit and larger vapor production, but burns through battery power and e-liquid quicker. Learn more about single vs. dual electronic cigarette coil configurations. Ultimately, the choice depends mainly on which method works best for you. There’s no clear "winner" when it comes to choosing between an atomizer, cartomizer, or clearomizer, but we generally recommend trying out a clearomizer. Atomizers can be tricky to operate for beginners, while cartomizers don't offer quite as many features. Clearomizers can provide the best overall experience regarding convenience, affordability, performance, ease of use and functionality of your vape device. Visit our knowledge center and blog to learn more about our custom vape products to create your ideal vaping experience.